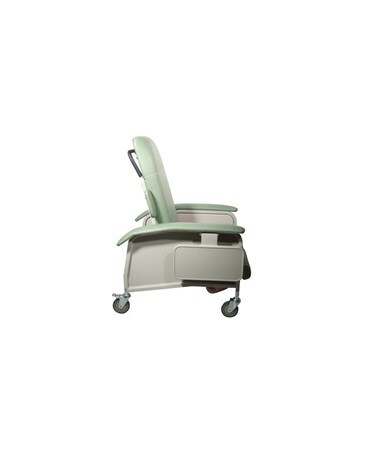 Drive's Four Position Clinical Care Recliner brings a valuable combination of functionality and comfort to your Patient Room. 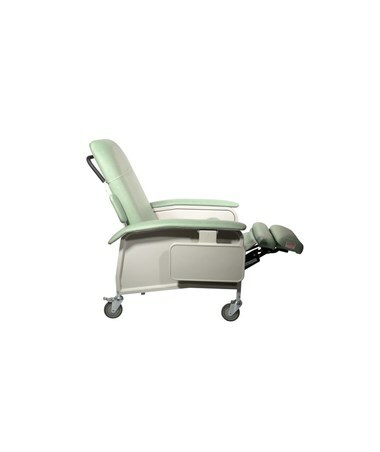 Useful in a variety of procedures and highly adjustable, the Four Position Clinical Care Recliner is a must own. 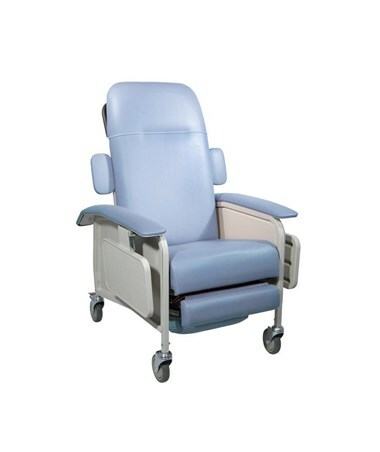 Whether you're performing dialysis, blood collection, or respiratory/cardiac care, the Four Position Clinical Care Recliner offers a wide range of features that make treating your patients easier and more comfortable. 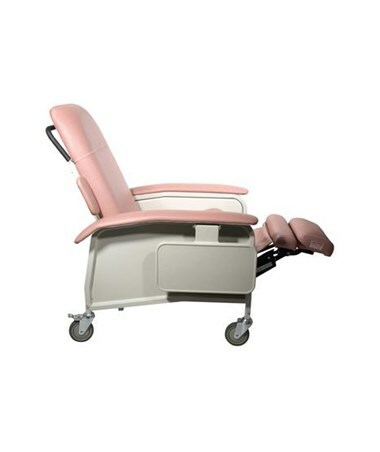 The chair can be set in four positions: upright, TV, full recline and Trendelenburg. 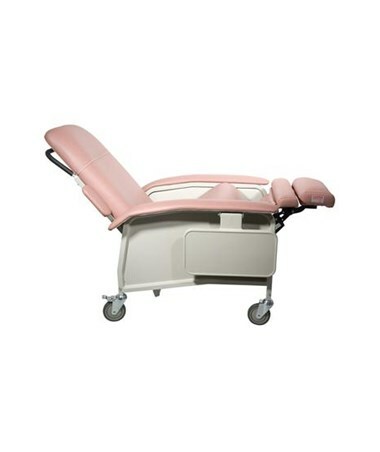 The full recline and Trendelenburg positions use a gas cylinder and can only be set by an attendant. With this kind of versatility, the Four Position Clinical Care Recliner will be invaluable to your day to day operations. The chair's functionality doesn't stop with positioning. The side panels "pop off", making cleaning and maintenance an easy process. 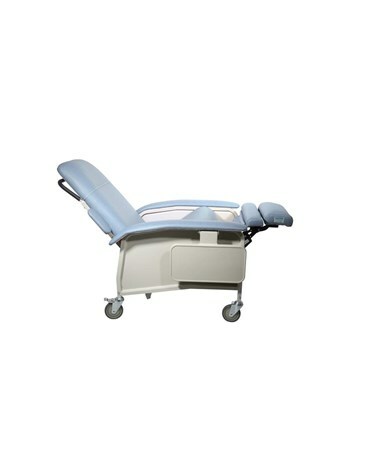 Large, blow-molded side trays include a recess for a cup - a handy, convenient feature for both the patient and the doctor. Moving the chair or locking it into position is a simple proposition thanks to the 5" casters (2 with locks). Adjusting the chair is made easy thanks to a gas cylinder release handle for the chair back that can be operated from either side of the recliner, and highly versatile armrests. 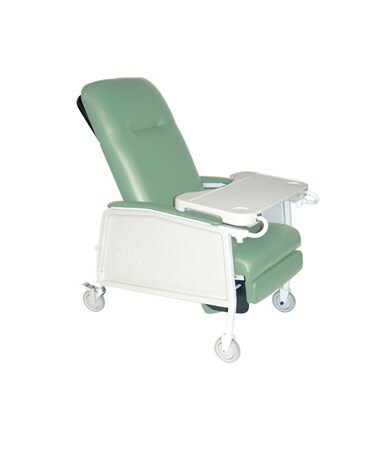 These wide, upholstered arm supports are angled to provide support no matter which position the chair is in. The built-in headrest increases the patient's comfort. 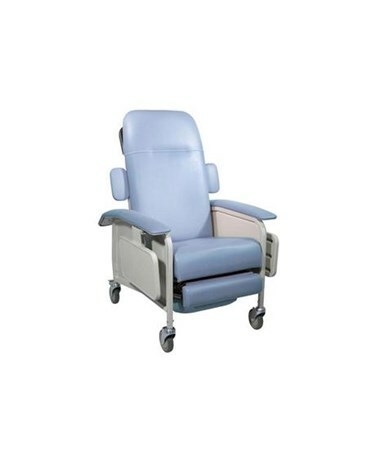 The Four Positions Clinical Care Recliner uses foam and vinyl materials that meet California Flammability Standards and Boston Fire Department specifications. 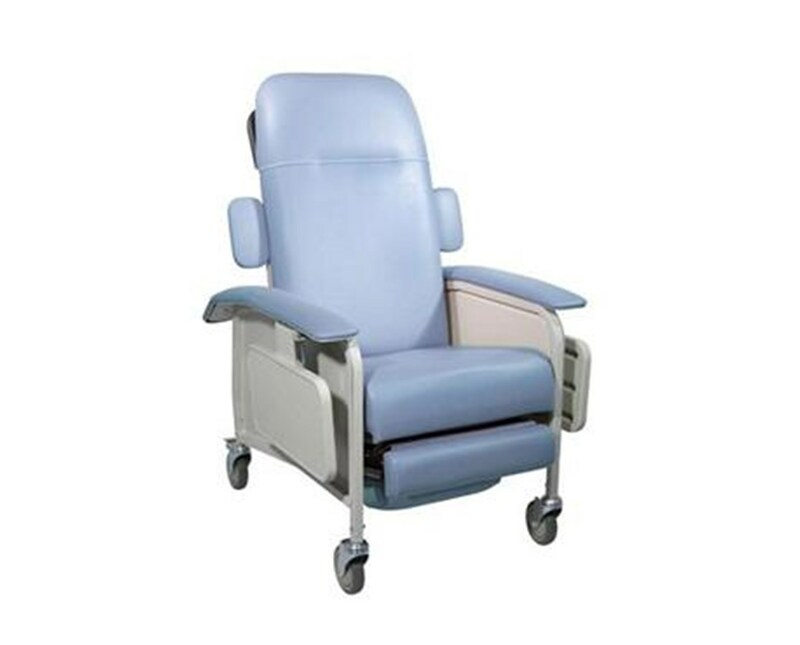 The neutral colored, sturdy steel frame makes cleaning and maintaining the chair a breeze. Protecting you and the chair is a limited lifetime warranty on the frame and a 1 year warranty on the upholstery and moving parts. 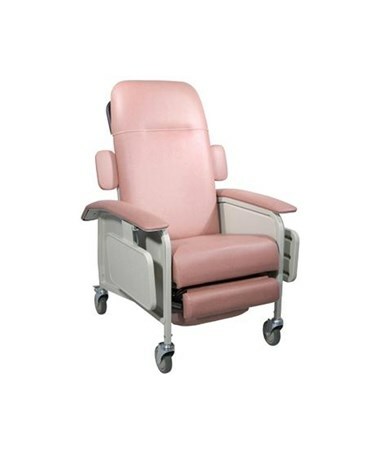 We offer Drive's Four Position Clinical Care Recliner in three colors: Blue Ridge, Jade or Rosewood. Select from the drop down menu above and order online direct by clicking "add to cart!" California Flammability Standard and Boston Fire Department specifications.